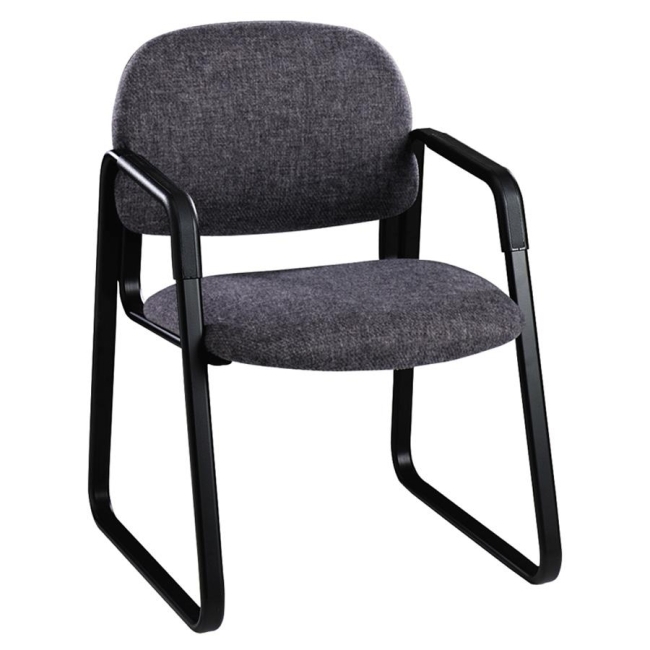 Sled-base guest chair with arms features a cushion design that provides lumbar support and helps eliminate fatigue. Painted oval steel frame has matching molded polypropylene armrests and base caps. Molded polymer outer back shell is color-coordinated with base. Seat size is 20" wide x 18" deep x 19-1/4" high from the floor. Usable seat depth is 18-1/4". Back measures 21" wide x 14" high from the seat. Distance between the arms is 19". 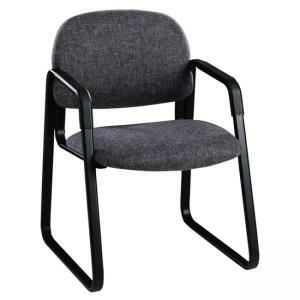 Chair is available in black frame only. Certified by SCS to be in compliance with specific indoor air quality emission requirements. Meets or exceeds applicable ANSI/BIFMA standards.